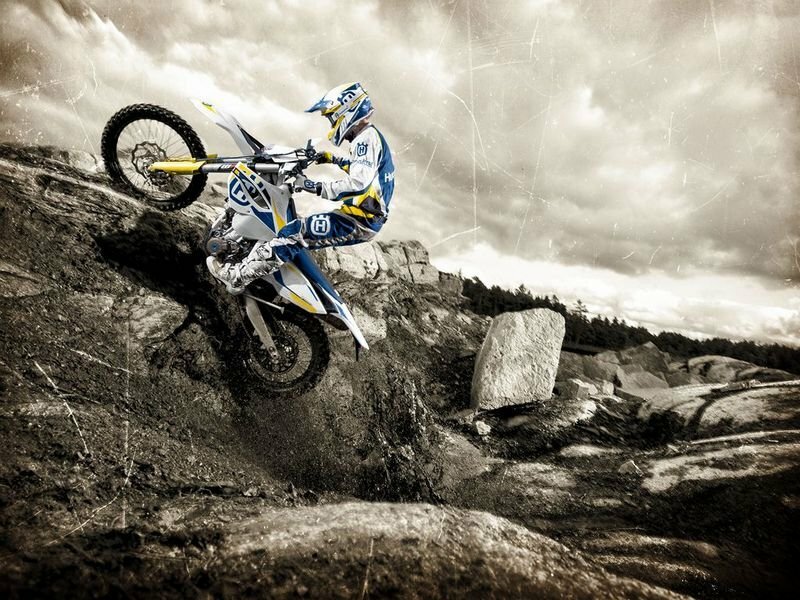 Husqvarna never plays when it comes to dirt bikes and if you want further proof check out its 2014 FE 450. This impressive machinery has everything it needs to help you tackle even the toughest tracks without any problems. 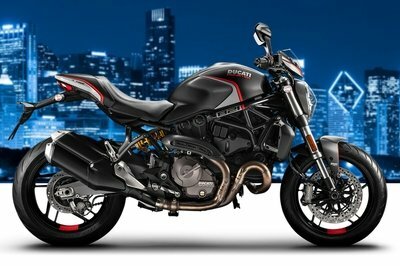 It’s backed up by a 1-cylinder, 4-stroke, water-cooled engine with a displacement of 449.3 cc. The unit is brought to life by an electric starter and is kept under control by a six speed, claw shifted transmission. 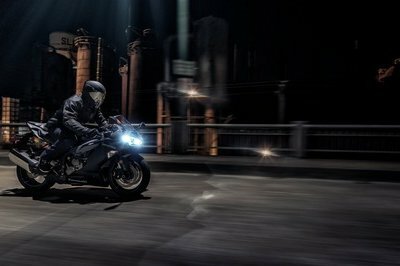 The engine is combined with a Keihin electronic fuel injection and features a 42mm throttle body rewarding you with an impressive throttle response every time you fire it up. The motorcycle’s backbone is represented by a strong and lightweight chromoly frame that sits on a set of long travel suspensions. Talking about the suspensions system it includes a WP 4CS closed cartridge 48 mm front fork and a high performance rear shock which is completely adjustable for rebound and high/low speed compression damping. 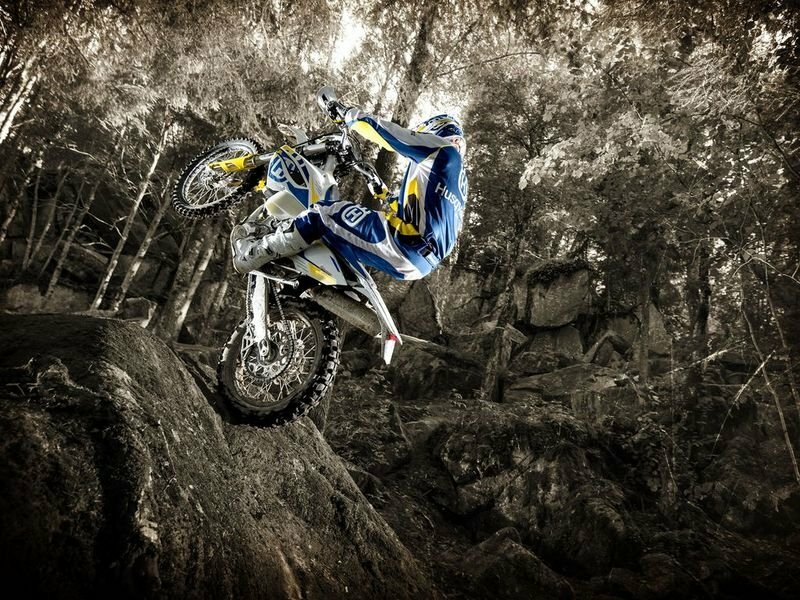 Hit the jump for more information on the 2014 Husqvarna FE 450. Amazing power and torque characteristics are harnessed by a state-of-the-art chassis that guarantees extreme precision and agility. The robust engine has been tuned to reliably deliver maximum performance season after season of hard Enduro riding in any condition. 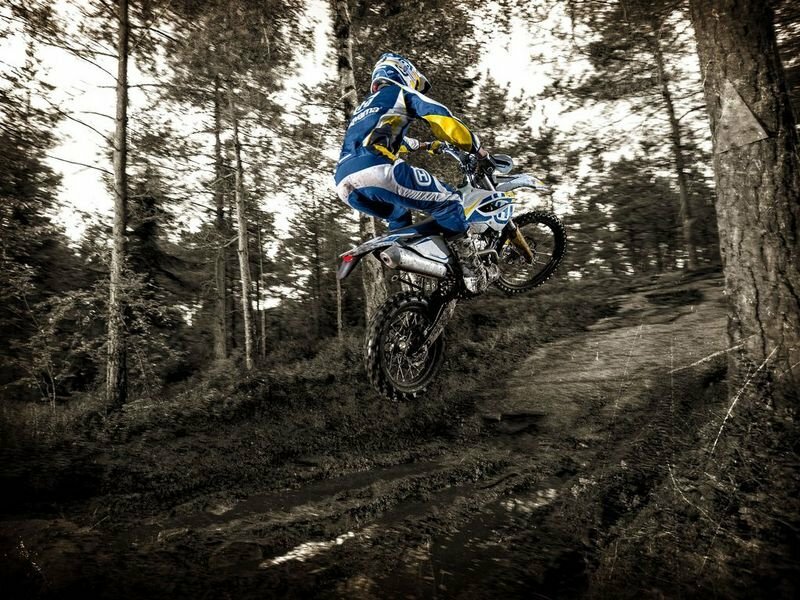 The 449.3cc SOHC engine of the FE 450 has a 95mm bore and a 63.4mm stroke and has been developed specifically for Enduro riding in extreme conditions. It is not only easy to use, torquey and powerful, but also efficient and reliable. The die-cast production procedure allows for thinner wall thickness compared to other production processes, reducing weight while maintaining strength, and contributing to the compact overall packaging of the engine/chassis combination. The cylinder head is characterised by a single overhead cam that actuates two lightweight titanium intake valves and two steel exhaust valves. The König bridge-box-type piston is closely related to the FC 450’s piston in order to lower oil consumption and optimise performance. Vibrations are kept to a minimum thanks to the multifunctional counter balance shaft which is situated on the right side of the engine, for a compact and efficient design, cancelling inertia forces and simultaneously driving the water pump and timing chain. The crank shaft and lightweight con rod are made by Pankl from high-tensile strength steel and have been specifically designed to withstand the high power output and torque of the FE 450, without sacrificing durability and long service intervals. That is why the crank shaft has a plain big end bearing and two force-fitted shells that run directly on the crank pin. 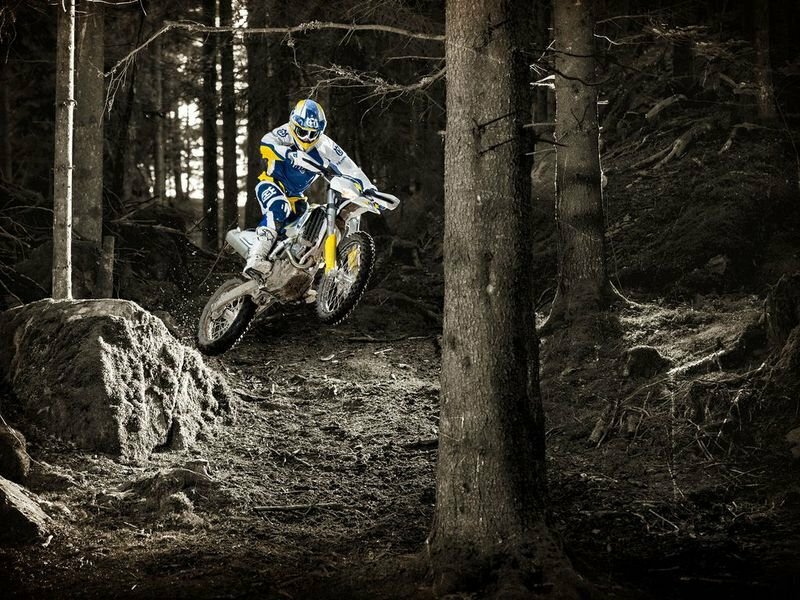 Just as on the other 4-strokes in the Husqvarna Enduro line-up, the FE 450 fits an electric starting system. Even at the highest level of competition riders appreciate the peace of mind that comes with the electric start when in a difficult situation. The powerful 450 engine has been encased in a strong and lightweight chromoly frame that guarantees maximum feedback to the rider in rough terrain, on rocks and in slippery conditions. The precisely engineered longitudinal flex improves rider confidence, speed and race times, and works together with the suspension to absorb impacts from the rear wheel, also giving the rider greater feedback. The torsional rigidity has been calibrated to maximise sharp handling, turn-in and stability in any situation. The lightweight, three-piece construction of the polyamide rear subframe is more flexible than a traditional aluminium rear subframe. Rider confidence and comfort are enhanced by precisely engineered longitudinal flex that accurately transmits feedback to the rider, making it easier to exploit the phenomenal potential of the FE 450’s handling characteristics. The composite subframe allows the engineers to have unlimited opportunities of integrating features such as the airbox, electronics and rear grab handle. 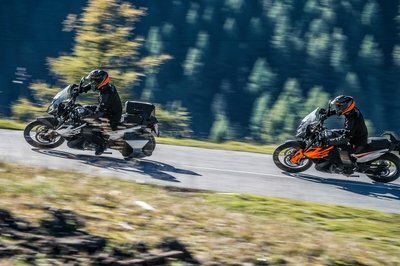 In order to take full advantage of the towering performance on offer, the bodywork has been designed to perfectly connect the rider to the bike. 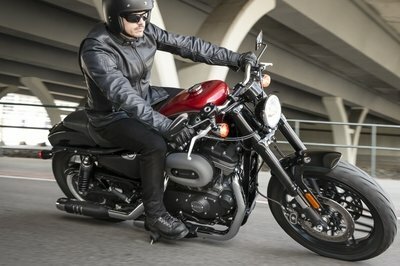 Exceptional ergonomics play a central role in controlling the bike, while the slim and stylish lines of the side panels and radiator shrouds allow for optimal movement while riding, resulting in faster and safer riding. The polythene fuel tanks fit perfectly within the tailor made bodywork and feature an easy opening bayonet-type filler cap. The FE 450 fuel tank has an integrated fuel pump. The standard equipment levels on the FE 450 are astonishing. Only top-of-the-line products will do, such as the Neken handlebar, handguards and electric starter. 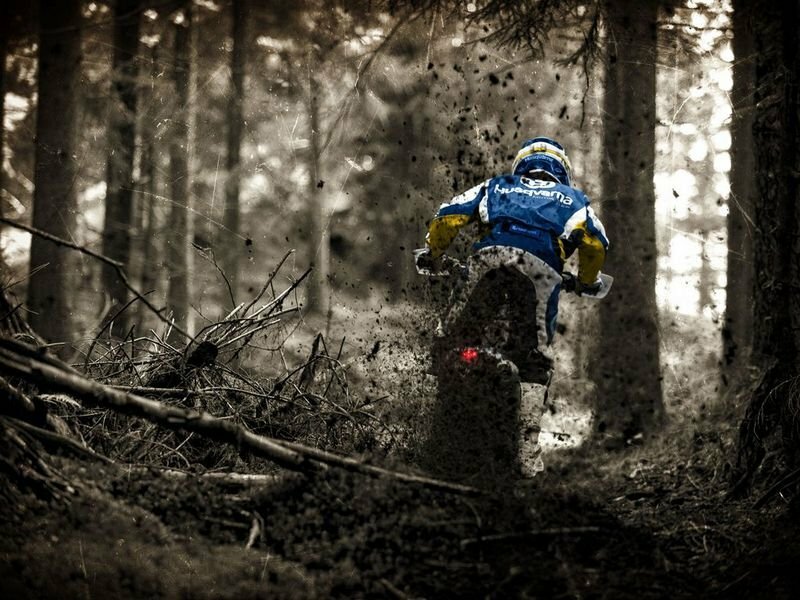 For the die hard enthusiasts, riding pleasure is further enhanced by a complete range of Husky Power accessories.